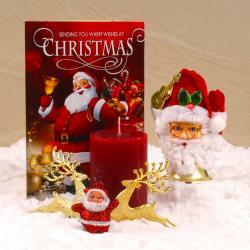 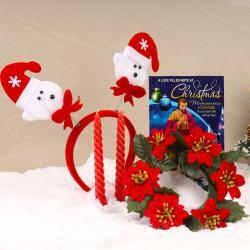 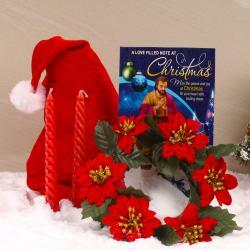 Product Consist : Hair Band with Santa Claus bunny face along with Decorative Candle and Pair of Reindeer. 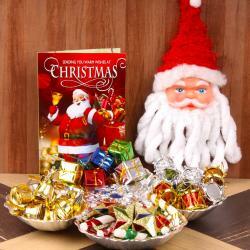 We cannot imagine Christmas without candles, here we bring a floral candle in decorative container which is made out finest plastic material and decorate with colorful pearl and stone. 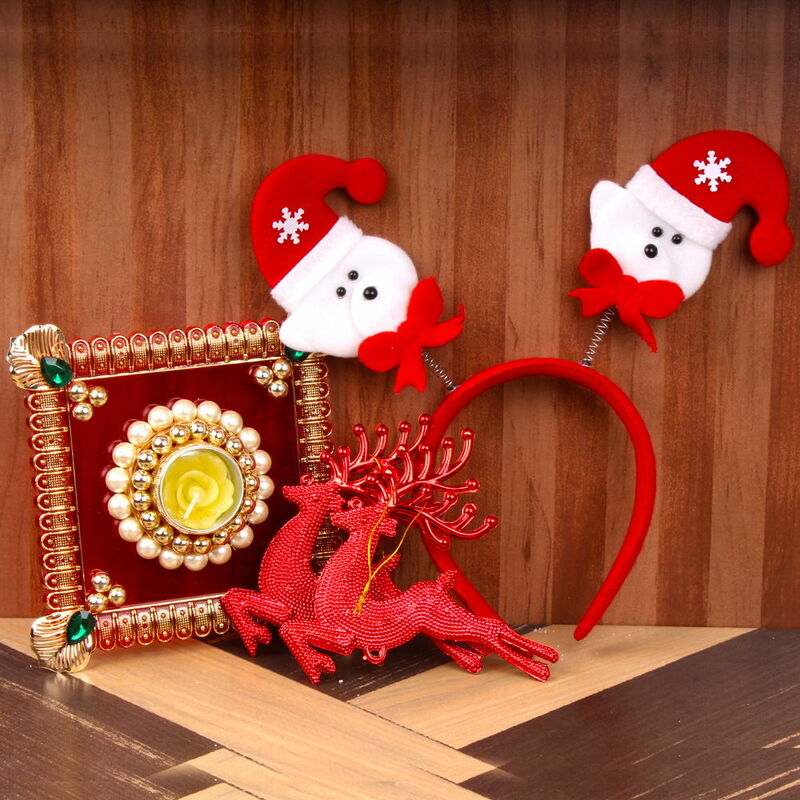 You will also definitely love this Santa Hair Band which can used to attend any Christmas celebration or Xmas theme party along with pair of reindeer decorative. 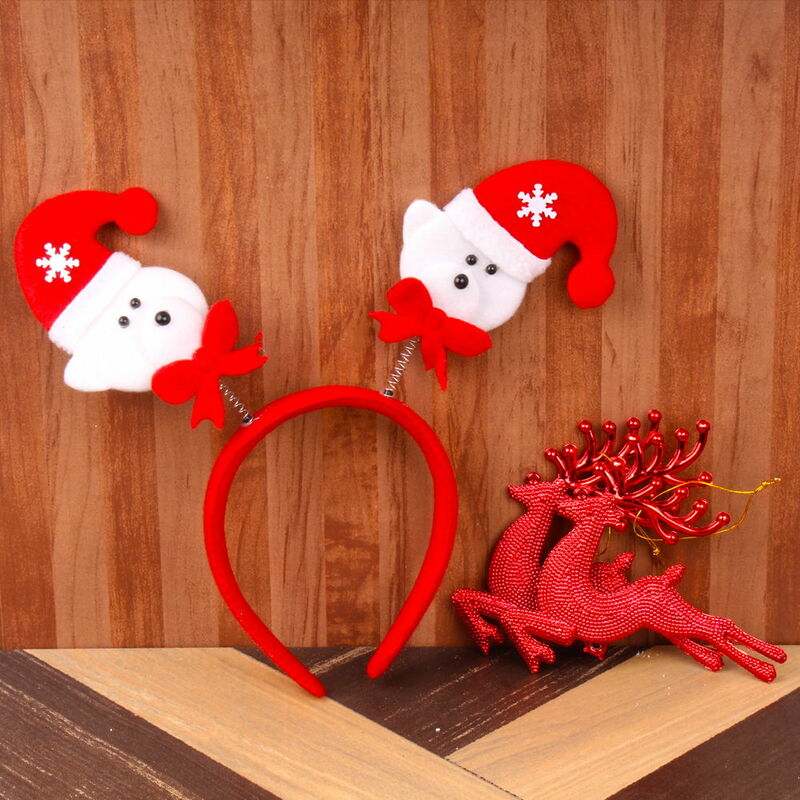 Product Consist : Hair Band with Santa Claus bunny face along with Decorative Candle and Pair of Reindeer.